UNIVERSITY PARK, Pa. – The No. Penn State women’s volleyball returns home after a nine-match road trip to host Maryland and Ohio State in a weekend of Big Ten action. 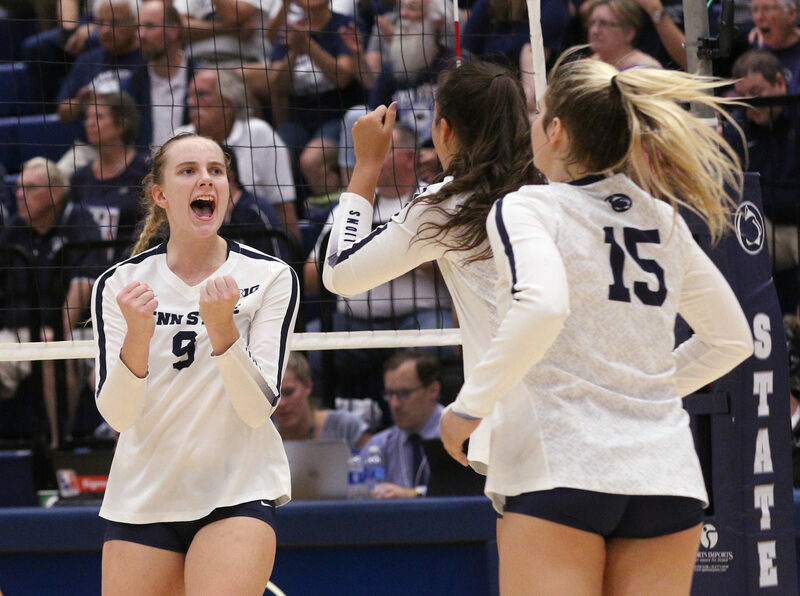 Penn State has been on the road for nine-straight matches, and 34 total days before they take the court in Rec Hall for a home match. During the road stretch, the Nittany Lions went 6-3 overall, 2-2 in Big Ten play, and 2-2 against ranked opponents. Road trip totals: 9,363 miles between matches at Rec Hall. Penn State has a 25-5-1 all-time record over Maryland. Penn State has also won the last 10 match-ups, including going 2-0 over the Terps in 2017. Penn State has an 48-16 all-time winning record over the Ohio State Buckeyes. This is the second time these two squads will pair up this season. Ohio State took the first meeting in Columbus in four sets. Penn State has seen six of its eight freshmen play significant time so far this season. Kaitlyn Hord and Serena Gray have found themselves as the starting middle blockers, while Jonni Parker has played as the starting opposite. Over the last three matches, Allyson Cathey has stepped in to start at the outside position. Both Jenna Hampton and Gabby Blossom have seen time as defensive specialists. The rookies combine for 353 of the team’s 602 kills, or 58.6-percent. They also have recorded 57.9-percent of the total points. Kendall White scooped up 212 digs so far this season, putting her at 1,174 for her career. She is the first to surpass 1,000 since Dom Gonzalez in 2011-14. White is just 33 digs from cracking into the top-10.